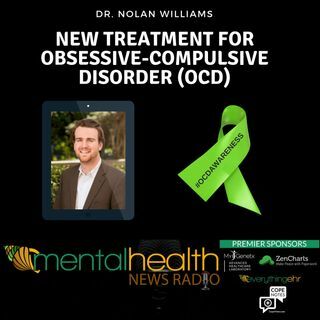 Dr. Nolan Williams, Clinical Assistant Professor of Psychiatry and Behavioral Sciences at Stanford University. We speak about new treatment options for use in treatment-resistant patients with OCD, including brain stimulation. A deep TMS device was recently FDA approved for the treatment of treatment-resistant OCD. Deep brain stimulation works to target specific areas of the brain and can affect the treatment of certain disorders including OCD and depression. Brain stimulation devices ... See More utilizing transcranial magnetic stimulation (TMS) technology have also recently been approved to treat disorders including OCD and depression.